You've spent years or months memorising vocabulary, cramming grammar rules and yet you feel your English could be better? You feel that you deserve better? So break the rules! Didn't they tell you: “Study hard, remember this, remember that, blah blah blah...”? Forget it! Get their ideas off your head and fill your mind with your own, better way of thinking! 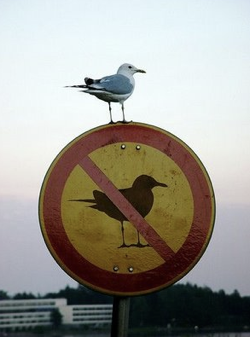 Be a rebel! Take the initiative, it's you who should be in control! Perhaps right now you're thinking something like “How being a rebel may help me in developing English skills? Shouldn't I follow the rules, like so many before me did?” or “It can't be true, when you're a rebel nothing good happens to you.” Well, consider this statement: Only those who believe they can change the world are the ones who do. And it's 100 per cent accurate! Let's take an example everybody knows: Albert Einstein. He changed the way we perceive the world because he was a rebel. He discovered that there was something lacking in the laws of physics and he wasn't afraid to stand up and yell, “Hey, guys! It's not true what you have in here! Newton wasn't absolutely right!” He had the courage to show off, proving that being rebellious may be beneficial for you. And it's Einstein who said, “Imagination is more important than knowledge”. So far, so good. But you may say, “OK, I got the point – but what does it have to do with learning languages? It's not the same, you can't discover anything new in the field of English language”. But yes, you can. And you should discover something new, every day you should rethink the language. Never take anything for granted. Keep your mind busy, listen to the podcasts, read some articles. And don't study grammar or vocabulary – it's not going to make you any good! Because when you start to learn by heart, you quickly get bored since you're only expanding your knowledge. And remember, imagination, intuition, intelligence are far more important than memorising! Of course, you could try to learn English “traditionally”, use textbooks and study the rules: “Use Present Simple in following situations...” but honestly, is it interesting? By doing it, do you feel that you want to immerse yourself in English, or would you rather run away as fast as you can...? I bet you'd love to burn your grammar books. So do it! See them burn...and let yourself learn English intuitively, effortlessly, with a smile on your face! Don't you think it's great? 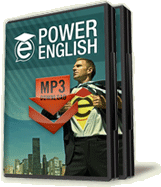 You know how to study English better, how to speak without any problems – because you know there's an alternative approach! You realise that there's a different approach that is better, more effective – so why don't you start today? Be a rebel! Think different! Just allow yourself to feel the language, be intuitive about it, love it and keep listening to it; you'll see that in no time you're going to be much better than all those people memorising grammar books. They'll sta-sta-stammer and stu-stu-stu-tter and you'll talk freely and fluently because you've become a rebel! AJ Hoge is talking about it in one of Power English lessons, good post! i wanna be rebel too !!! Couldn't agree more. Cramming English grammar rules into your mind is the wrong way to go! I tell my students this! Thanks so much for your great effort and the great thinking and fabulous presentation. Really the traditional methods of teaching made us good reader and writer but weak listener and speaker . But your way and approach will help us greatly in improving our listening and speaking skills. My request we want to teach a story to the young learners in an amusing manner with the help of your technique of repetition. Thanks again. thank you so much for your tips. I've seen lots of your videos on Youtube, and they're so helpful for my assignment :) btw, I'm majoring English Education and now my third semester. Ah, I'm from Indonesia. All these things which AJ mentioned are true but perhaps these things need someone who knows a little of English before, is it not?